New York, NY � March 3, 2015 � IDSecurityOnline.com, a leading provider of ID card printers and photo ID systems, announced today that it has added an ID card service bureau for its customers who need ID badges printed within a short turnaround time. IDSecurityOnline.com has been named the 4th fastest growing security company in the United States on the 2014 Inc. 500 list due to its ability to deliver services to a wide variety of customers nationwide. The new ID card service bureau has been designed to help organizations of all sizes and industries get the proper identification in record time. Schools, corporations, and police departments already use this new offering from IDSecurityOnline.com to get their custom ID badges. Customers can send their own templates or have IDSecurityOnline.com design their badges based on their requirements. 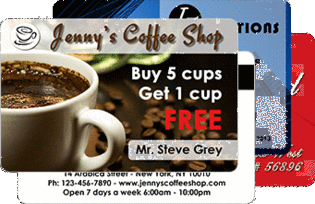 Each card can be fully personalized with the cardholder�s data. Clients will receive a proof for approval before cards get printed. Shipping is free and typically occurs within a 24-48 hour timeframe. In addition to printing basic ID Cards, the company can program and personalize proximity cards. This unique program called QuickShip allows customers to get their access control badges rapidly as QuickShip cards get ready to ship within 2 business days. For more information, call IDSecurityOnline.com at 1-800-897-7024 or visit IDSecurityOnline.com.